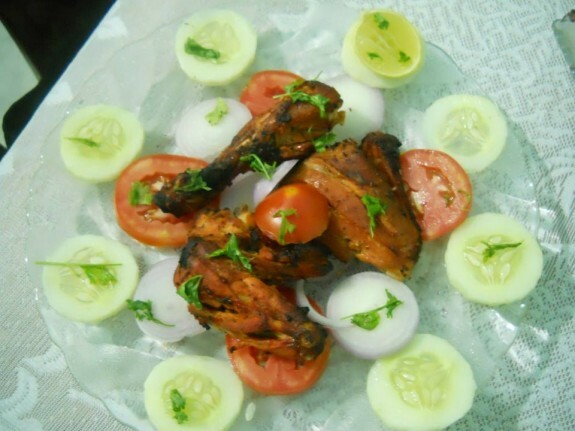 The people of Punjab are always famous of their flamboyant style and thus Tandoori Chicken is one of the most delicious and classic recipe of Punjab. Get the recipe from here. 1. Add ginger garlic paste, red chili paste, tandoori masala, chaat masala, curd, salt, oil and lemon juice in a bowl. Mix everything well. 2. Rub the marinade on the chicken pieces. Keep the marinated chicken pieces for about 30 mins. 3. Grill the chicken pieces on griller or tandoor. Baste it with oil in regular intervals. 4. Serve with onion, lemon wedges, tomatoes and coriander leaves. Dry roast the cinnamon, green cardamom, peppercorns, coriander seeds, brown cardamom, cloves, cumin seeds, bay leaf and turmeric powder in a pan. Grind the dry roasted spices into the powder. You can make the Tandoori Chicken in an oven too in the temperature of 250-300 degree C.